If you haven’t had a slice of Finnish cardamom bread with your morning cup of coffee, you haven’t lived! 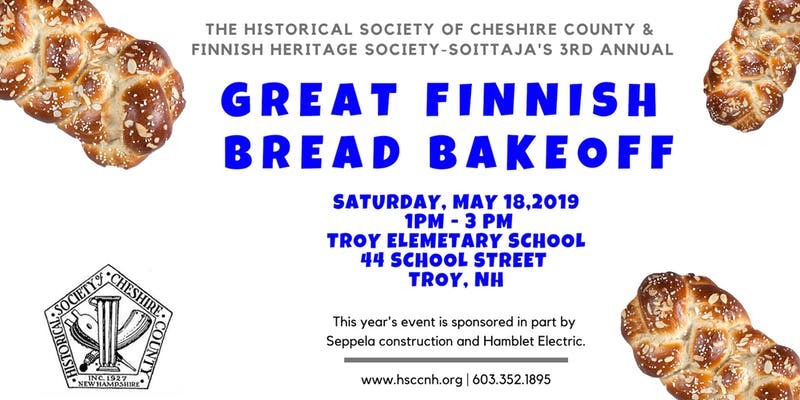 The Historical Society of Cheshire County and the Finnish Heritage Society-Sovittaja invite the general public to its 3nd annual Great Finnish Bread Bake-off on Saturday, May 18th at the Troy Elementary School, 44 School Street, Troy, NH, from 1pm-3pm. Visitors will have the opportunity to taste-test varieties of nisu/pull bread. Admission comes with a ballot allowing the public to vote for their favorite recipe to win a People’s Choice award. 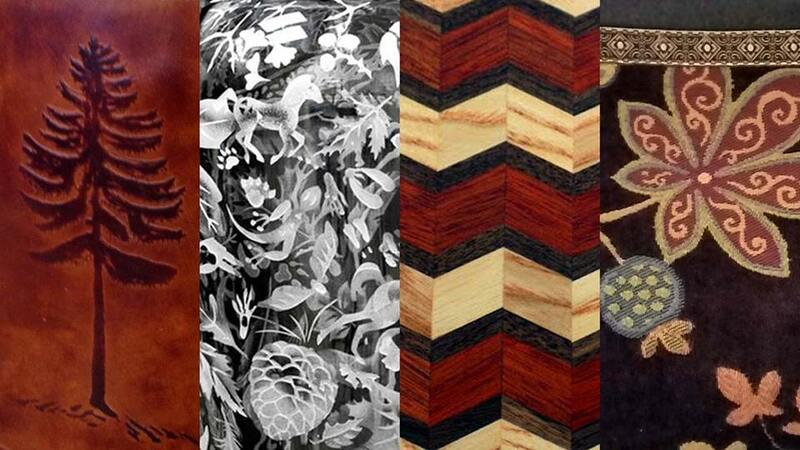 Beverages will be available as well as bread-making tips, demonstrations, and music. Admission is $10 adult. Kids under 18 are free. Tickets for this event may be purchased online at www.hsccnh.org. Proceeds from the event support the Historical Society’s educational programming, dedicating to celebrating the variety of cultures and talents that make up Cheshire County. Those interested in becoming a contestant are asked to the Society’s website at www.hsccnh.org for registration forms and bake-off rules. Deadline to enter is May 10, 2019. For more information contact: Historical Society of Cheshire County at 603-352-1895. The Finnish Heritage Society-Sovittaja (FHSS) is a non-profit social, cultural and charitable organization devoted to promoting scholarship and Finnish heritage and culture. Sovittaja Park is in Rutland, MA. The Historical Society of Cheshire County is a nonprofit educational organization dedicated to collecting, preserving and communicating the history and culture of Cheshire County, New Hampshire.